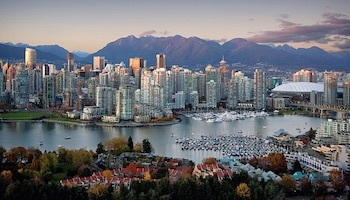 Situated between the Coast Mountains and the Pacific Ocean in British Columbia, Vancouver is favored for its majestic landscapes that present a natural playground where tourists can swim in the ocean, rollerblade through scenic parks and snow ski in the mountains all in one day. 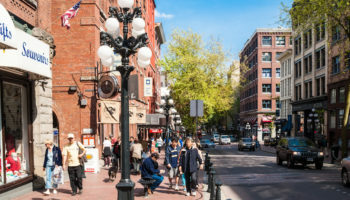 The third largest metropolitan area in Canada, Vancouver comprises a vibrant city center and a colorful blend of diverse neighborhoods all offering their own share of unique sights and experiences. 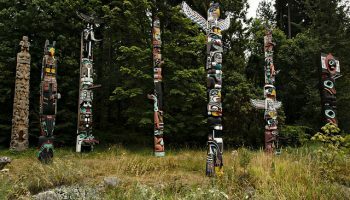 Vancouver’s star attraction is Stanley Park. 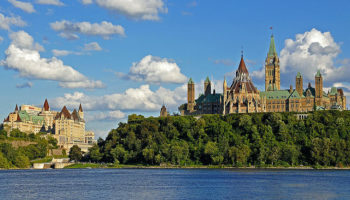 Covering 1,000 acres of woodlands, gardens and green spaces, this park features an aquarium, water park, miniature train and the picturesque Seawall laden with walkers, cyclists, joggers and skaters. Some of Vancouver’s other top sites include Granville Island’s remarkable food market, Chinatown’s vibrant array of shops, restaurants and stunning gardens, and Canada Place’s waterfront complex housing the Vancouver Convention Center. 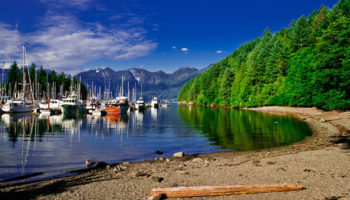 Vancouver offers a string of beaches of which Kitsilano, Spanish Banks and Jericho are the most popular while the nearby slopes of Grouse Mountain provide skiing and snowboarding. Vancouver’s arts and culture scene is broad with numerous museums, art galleries, theaters and dance centers. Annual festivals include Chinese New Year, Cherry Blossom Festival, Festival of Lights, Fringe Festival and International Film Festival. From restaurants to bars, nightclubs and shows, the city offers an abundance of nightlife choices. The largest concentration of venues are located within the Granville Entertainment District.